American students vary in educational achievement, but white students in general typically have better test scores and grades than black students. Why is this the case, and what can school leaders do about it? 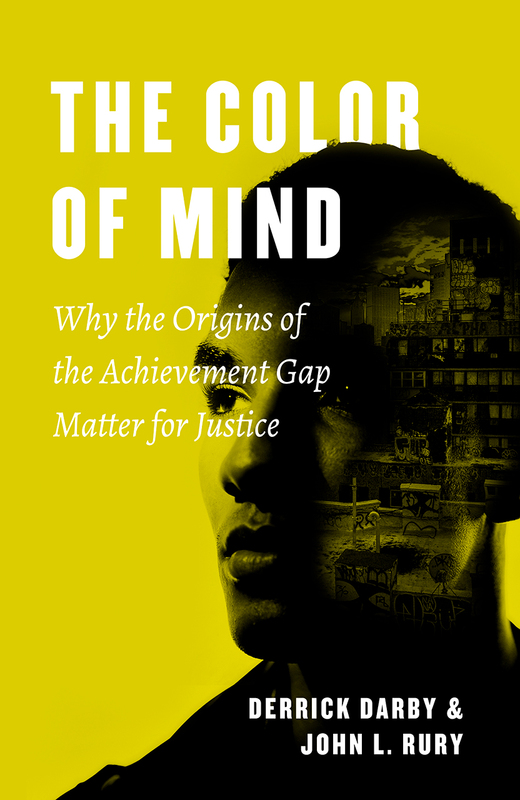 In The Color of Mind, Derrick Darby and John L. Rury answer these pressing questions and show that we cannot make further progress in closing the achievement gap until we understand its racist origins. Telling the story of what they call the Color of Mind—the idea that there are racial differences in intelligence, character, and behavior—they show how philosophers, such as David Hume and Immanuel Kant, and American statesman Thomas Jefferson, contributed to the construction of this pernicious idea, how it influenced the nature of schooling and student achievement, and how voices of dissent such as Frederick Douglass, Frances Ellen Watkins Harper, and W. E. B. Du Bois debunked the Color of Mind and worked to undo its adverse impacts. Rejecting the view that racial differences in educational achievement are a product of innate or cultural differences, Darby and Rury uncover the historical interplay between ideas about race and American schooling, to show clearly that the racial achievement gap has been socially and institutionally constructed. School leaders striving to bring justice and dignity to American schools today must work to root out the systemic manifestations of these ideas within schools, while still doing what they can to mitigate the negative effects of poverty, segregation, inequality, and other external factors that adversely affect student achievement. While we cannot expect schools alone to solve these vexing social problems, we must demand that they address the dignitary injustices associated with how we track, discipline, and deal with special education that reinforce long-standing racist ideas. That is the only way to expel the Color of Mind from schools, close the racial achievement gap, and afford all children the dignity they deserve. "There is, of course, no dearth of American scholarship on these themes, and the reader may be forgiven for thinking she will encounter little that isn’t already known. Fortunately, however, the tack the authors take deviates in several important ways from most scholarship. . . . Given the book's title and theme, it is reasonable to assume that most readers will be those already convinced of its premises . . . . But it would be a shame if this book were read only by those already ‘in the know’. It would equally be a shame if the book's genealogical approach were to suggest to non-American readers that the Color of Mind is a uniquely American phenomenon. . . . though it was not the authors’ intention to shed light on institutionally racist thinking outside of the United States, for those with eyes to see, this book also issues an invitation to begin moving in that direction. It is long overdue." "The Color of Mind insists that no educational reform can succeed without teachers and school leaders knowing that black children were never supposed to learn or achieve by the same standards of their white counterparts. This pernicious idea and practice is at the root of today’s black-white achievement gap. Knowing this history is the first and most consequential step towards ensuring that every school respects the dignity of black lives and black minds. Then comes the obvious, as this brilliant work shows: dismantling every policy of racially disparate tracking, disciplining or special education if real justice is ever to be achieved."